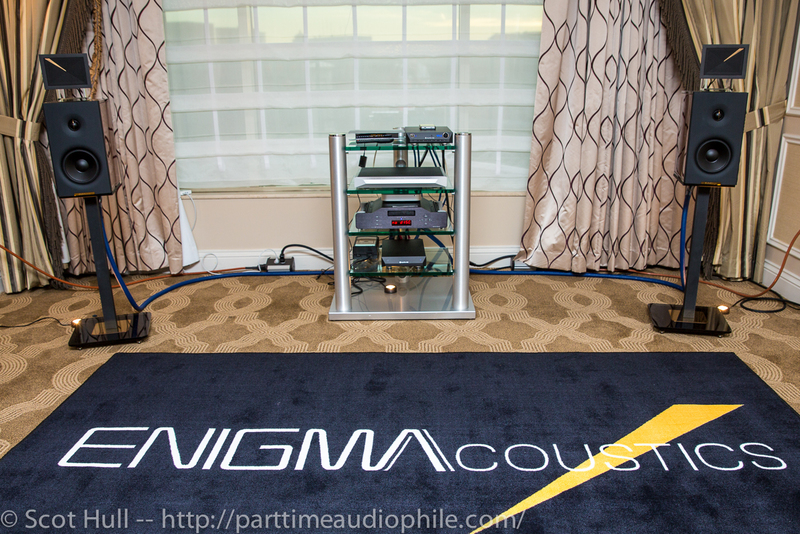 There was a lot going on in the ENIGMAcoustics room at CES this year, from the marvelous Mythology M1 loudspeakers to the delightfully clever devices from Celsus Sound and Nuprime. What I was not expecting, however, was the new Dharma headphones. 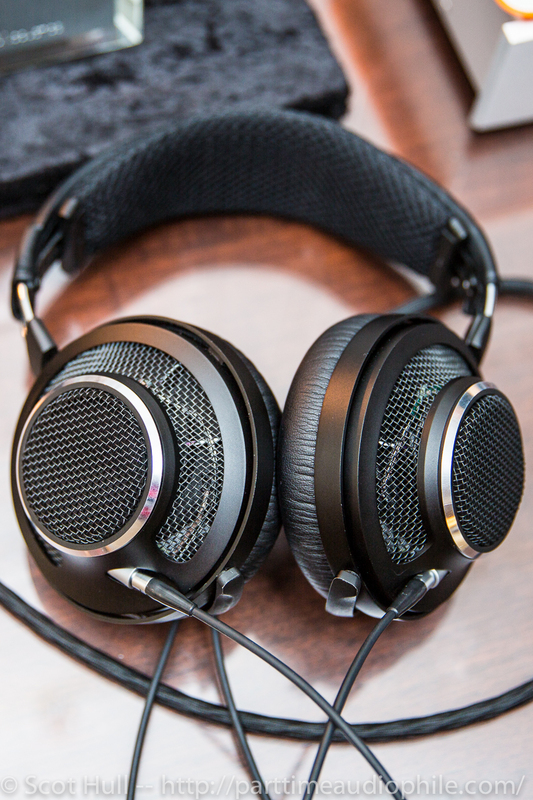 Dharma is a soon-to-launch headphone from ENIGMAcoustics. 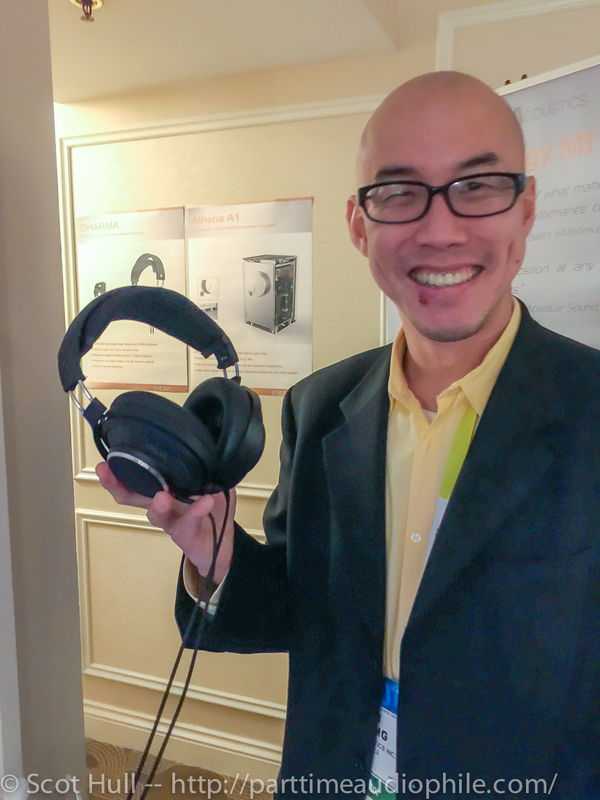 Pricing is targeting $1,200 for a set, and if they manage to keep the sound quality that I heard at CES, this is a steal. These headphones are all that, and two bags of chips. 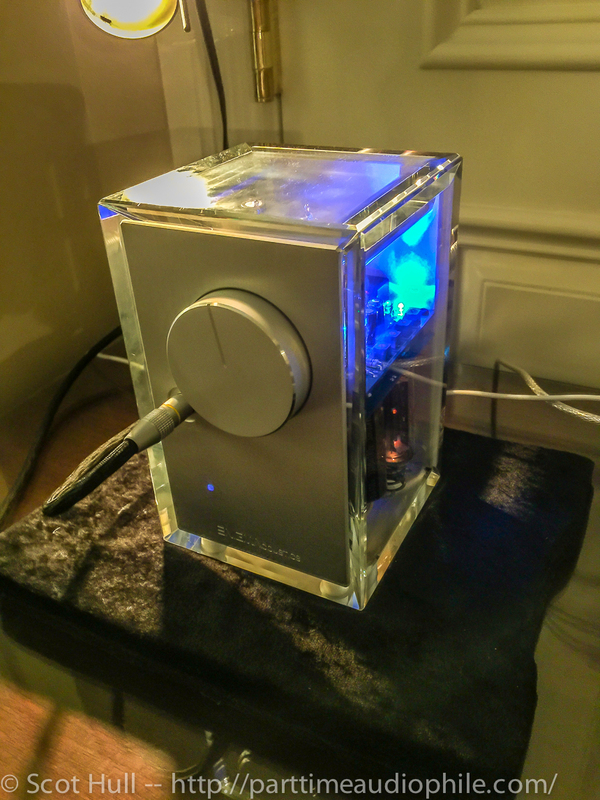 Keep in mind any competently designed and built headphone amps will be sufficient to drive Dharma, therefore consumers are not required to purchase our also recently unveiled Athena A1 premium single-ended triode headphone amp, although there are certain definitive advantages when paired with Dharma. 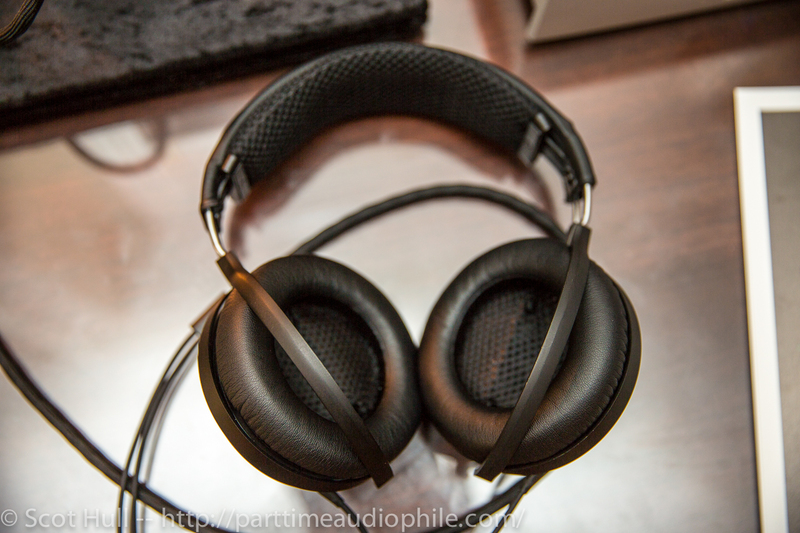 What I heard, played through the Athena, was some of the airiest, luxuriant sound I’ve found in a headphone to date. And yes, there was plenty of bass. WANT. 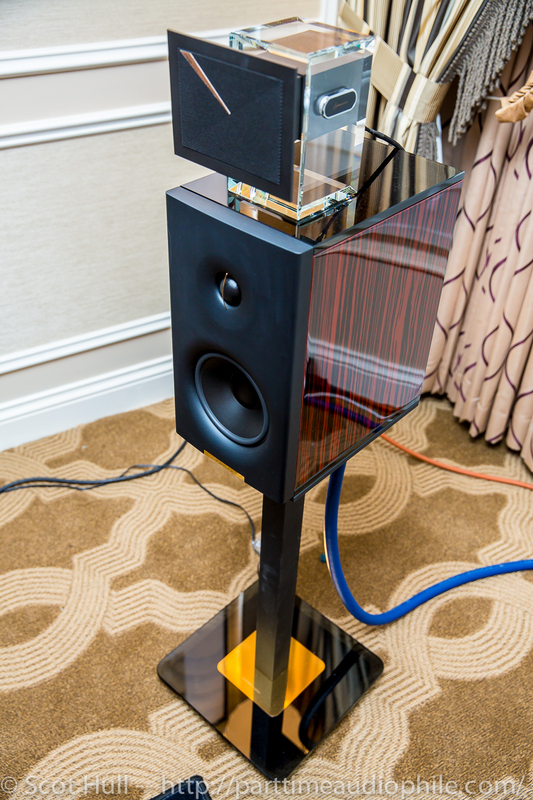 On the opposite side of the room, the Mythology M1 loudspeakers were set up and playing some achingly beautiful music. 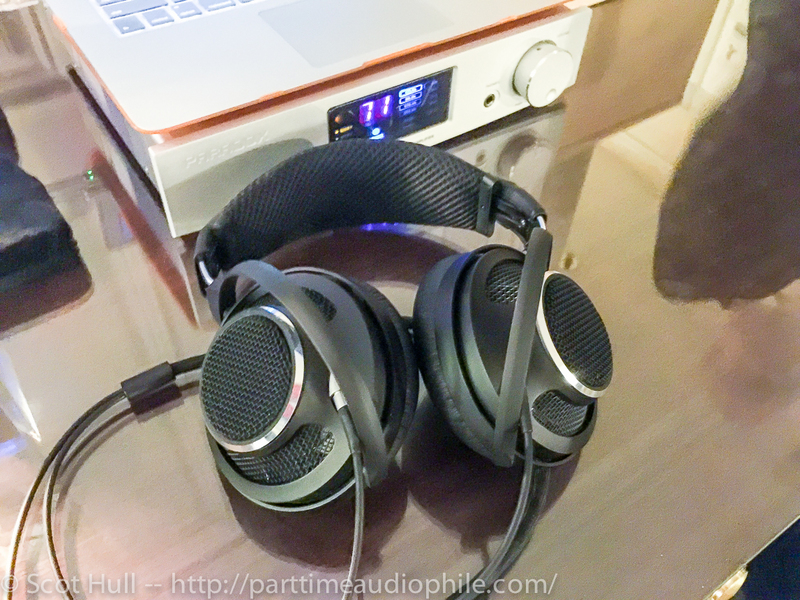 Dr Karavitis recently reviewed this setup for Part-Time Audiophile, so I’ll let refer you to that, but I was very impressed. A balanced and sweet-sounding in-show demo can be impossible for many, but this was effortless. On the rack, I found a couple of surprises, including a small brick from Celsus Sound. 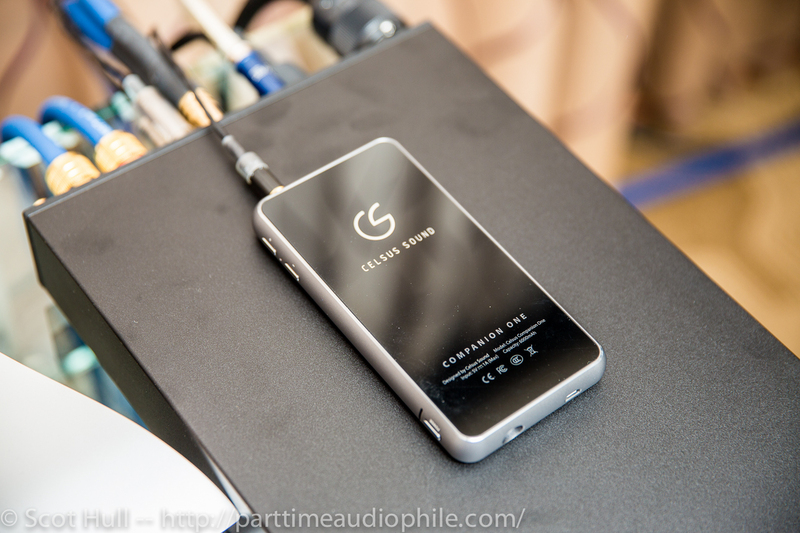 The Companion One ($595) is a WiFi enabled DAC that plays up to 384kHz and double-rate DSD files, and is about the size of an iPhone 6. USB and 24/96 Toslink S/PDIF inputs round out the ways in to the ESS9018K2M chipset, but while that’s all well-and-good, it’s the wireless streaming of high-res audio that catches the imagination. Playback quality, to my ears, was excellent, and the flexibility is just plain clever — and best of all, there’s no worrying about Bluetooth pairing, or whether or not aptX actually sounds better enough to warrant fiddling with it. My opinion, sure, but I think WiFi is just better. Ta freakin’ DA. 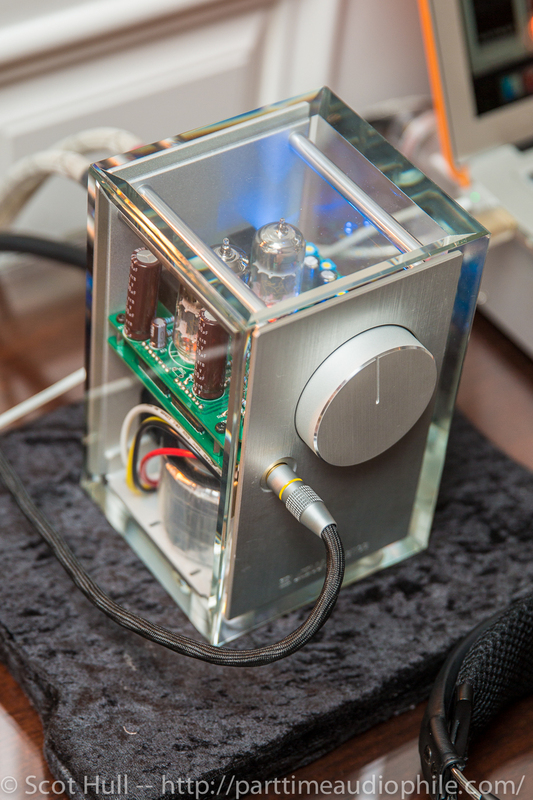 I should also mention that the Companion One is also a headphone amplifier — in case that wasn’t clear — and dumps 160mW @ 32 Ohm and 28mW @ 300 Ohm. I heard it paired with the “matching” Gramo One ($249) universal in-ear monitors, and ended up requesting a full set for review. Stay tuned on that front. Also in the rack was some gear from new-to-me brand NuPrime. 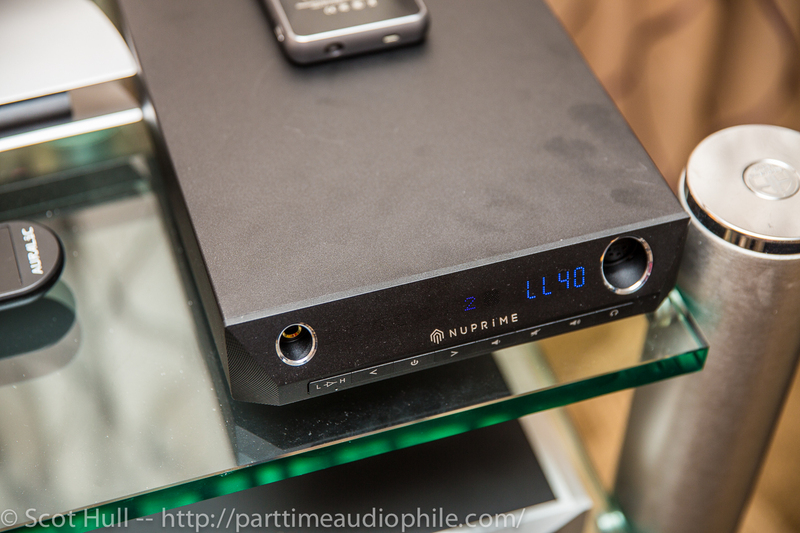 NuPrime is apparently an evolution of “parent” NuForce, and has acquired NuForce’s high-end product line. 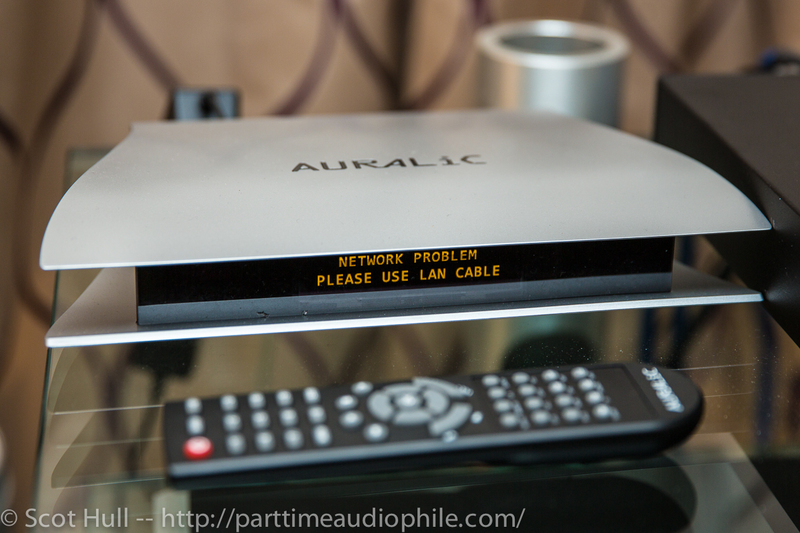 A DAC-10H ($1,795) desktop headphone amplifier/DAC and a DA-16 Integrated Amplifier ($2,350) were in the rack, along with an Aries streamer from AURALiC and a CD-transport from Simaudio. 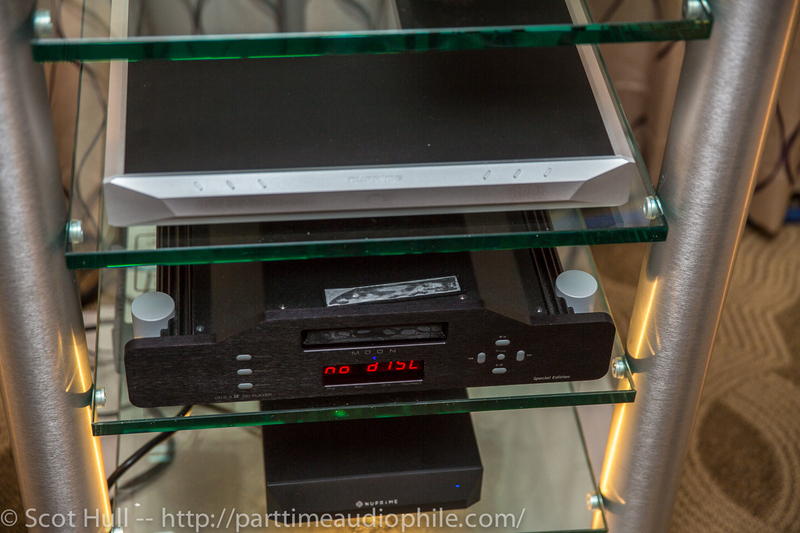 The DAC-10H supports up to 384kHz/double-rate DSD decoding and features a marvelous attenuator, using an “advanced, thin-film switched-resistor ladder network for controlling volume, i.e., a single resistor in the signal path at any volume setting”. 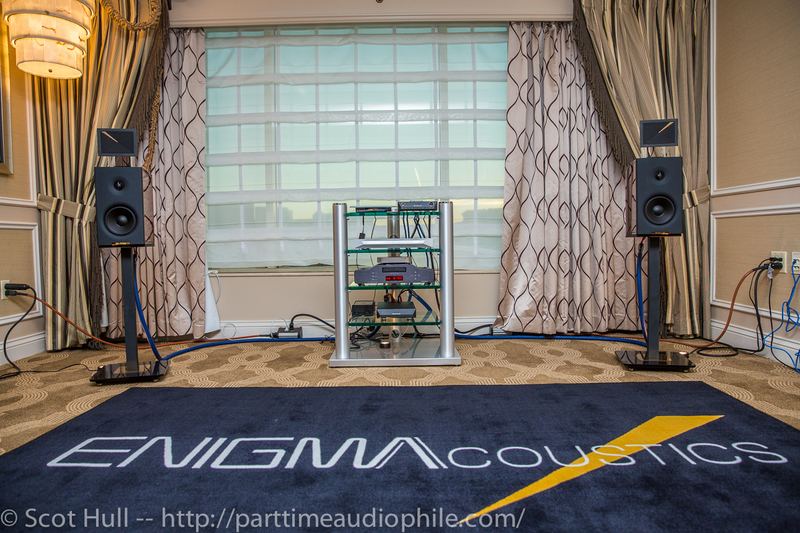 Balanced XLR and 1/4″ headphone outputs are standard, as are XLR and RCA outputs. I’ll offer that this was a rather impressive room, all around.